To play with game changers, you’ll need tactics that inspire with intrigue and interest. Leave ordinary recruitment to your competitors and, instead, find gonzo recruitment inspiration in the examples below. 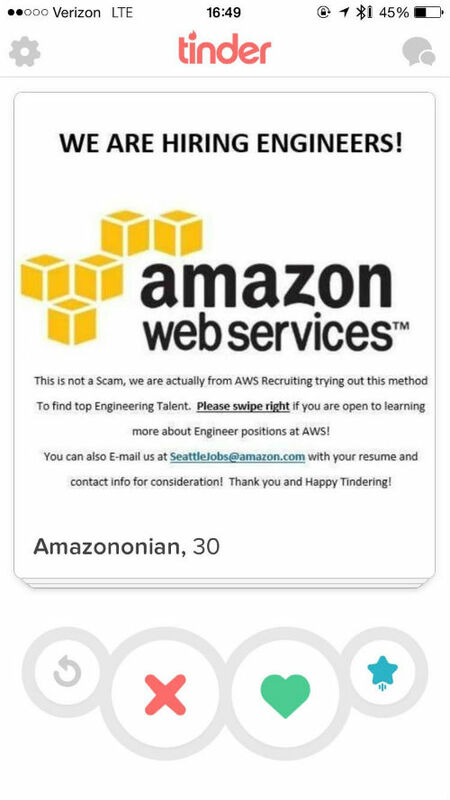 Most people go on Tinder to find a special someone, but some companies like Amazon and Fetch use it to attract professional prospects. The dating app boasts 10 million active daily users. In 2015, the story of how Amazon used Tinder made the rounds on sites like Vice’s Motherboard and Reddit. Gyro International, a London-based ad agency, researched the habits of their competitors’ employees. They then hit them when they were vulnerable — hungry during their lunch hour. 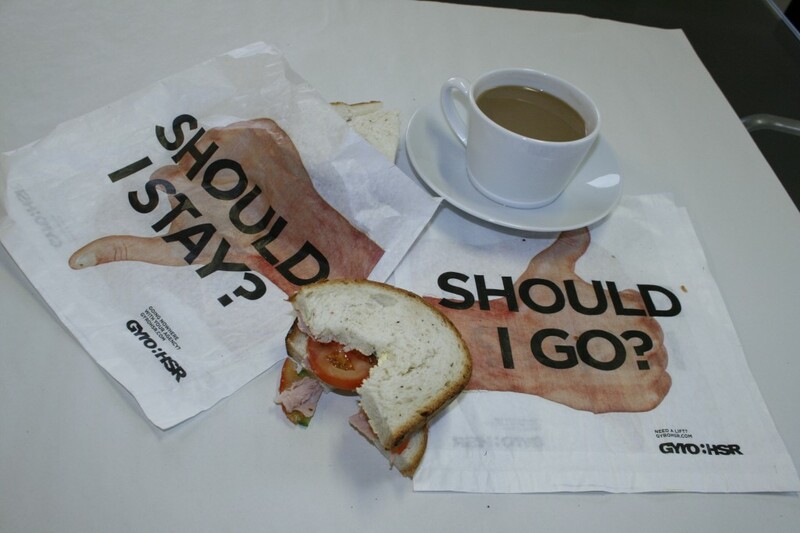 While they were eating sandwiches and away from the office, employees faced a confrontation: Should I Stay or Should I Go? If your target market includes big gamers, play with potential candidates the way Danish agency Uncle Grey did. 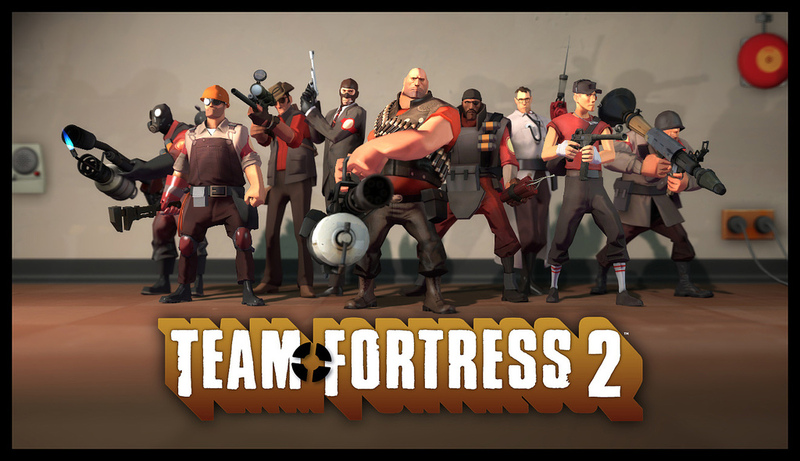 They reached out to top players of the role-playing game (RPG) Fortress 2 and made them ambassadors of their company. During gameplay, the ambassadors talked to other players about Uncle Grey and let them know the company was looking for new talent. Your client may already know their next star employee — they’re one or two degrees away from someone who works for them now. Tapping into this proximity, InMobi elevated their referral reward system by offering rewarding experiences. 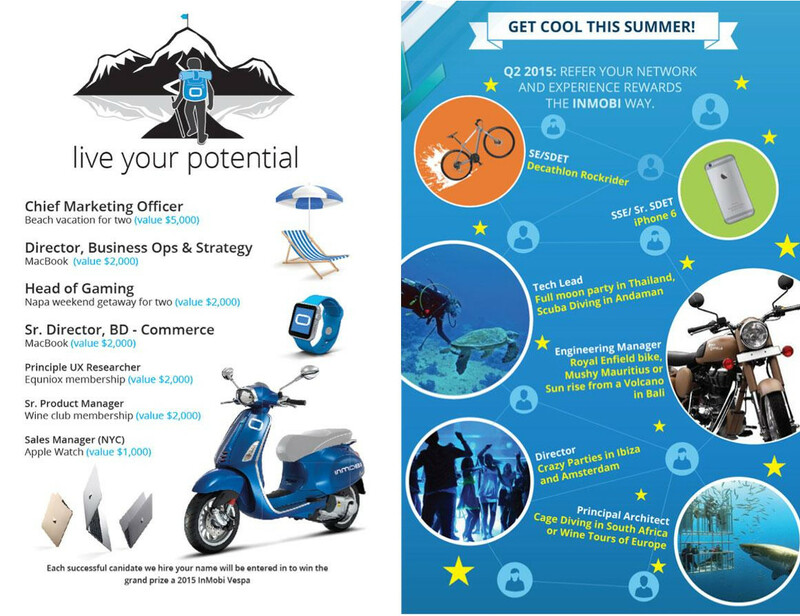 Employees who referred potential hires could win a Vespa, an Apple Watch, a trip to Ibiza, and more. Hackathons gather a community of tech talent for a creative marathon of innovative problem-solving. 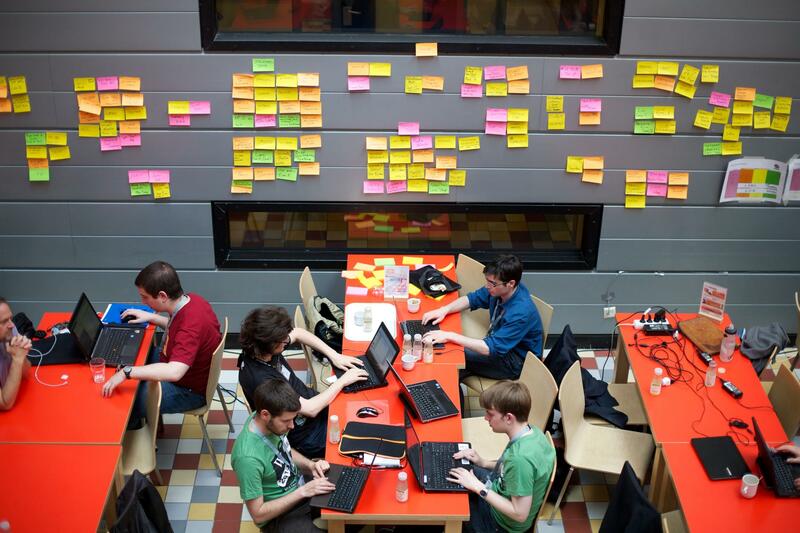 Hackathons are a place to find solutions and grow community knowledge. They’re also places of concentrated talent — a gold mine for recruiters. Rain, a full-service digital agency, hosts an annual event called Hack Upstate. It’s also an event where impressive people can stand out and get hired on the spot. So there you have it – how to land top candidates by letting your outrageousness fly. Looking for more on wowing the best of the best? Check out our article on wooing Millennial talent.